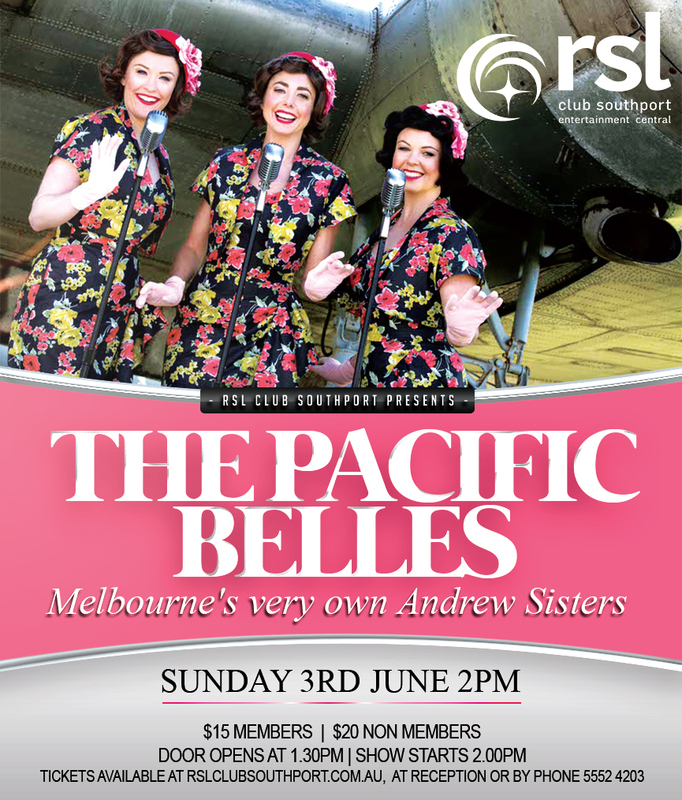 Come and see The Pacific Belles, Melbourne’s very own Andrew Sisters! Join Betty, Dot and Mabel as they take you on a journey back in time to the 1940’s. Re-live all your favourite classics including The Andrew Sisters Boogie Woogie, Don’t SitUnder the Apple Tree, Vera Lynn’s We’ll Meet Again, songs by Doris Day and many more! The Pacific Belles perform on Cruise lines and at events all over Melbourne and Queensland. They are regulars on ABC Radio, have appeared on Channel Ten’s ‘The Living Room’ and even have a Christmas single with Neighbours star Alan Fletcher. Inspired by the music and glamour of the 1940’s era. Their aim is to bring back the nostalgia which engages all generations and their sound will have you singing along and toe-tapping in no time!